If you’re unable to earn a living wage because a serious medical condition stops you from working, then you may be eligible to receive essential financial support through one or both of the disability programs administered by the Social Security Administration (SSA). Knowing if you might qualify is the first step, and for this, you’ll need to understand a little more about the SSA’s eligibility requirements. SSDI is for disabled workers, which means you must have a sufficient work history in order to receive disability benefits through this program. Specifically, you must have a work record that shows you paid Social Security taxes on your income. Workers in the U.S. pay these taxes through automatic payroll deductions completed by their employers or by submitting individual payments to the Internal Revenue Service on their self-employment income. The SSA tracks your work history through your tax payments. This work record then allows the SSA to decide if you’re eligible for benefits through various programs when needed, including SSDI as well as old age or Social Security retirement benefits. Disability applicants usually need a work history spanning between 10 and 20 years to qualify for SSDI. The exact number depends on several factors, including age at the time you apply for disability. Younger workers can often qualify with fewer work credits, while older workers may need the full 20 years of former employment to be eligible. For SSI, no work history is necessary, although this disability program does have strict financial eligibility rules. Before approving you for benefits, the SSA must review all of your financial information, including your income and assets as well as information about your living situation and family size. Even with the strict qualification criteria though, many people are able to get SSI, largely because the SSA only “counts” or considers certain sources of income and particular assets. For example, other kinds of financial-need-based support are not counted, like benefits from the Supplemental Nutritional Assistance Program (SNAP) benefits or food stamp program. 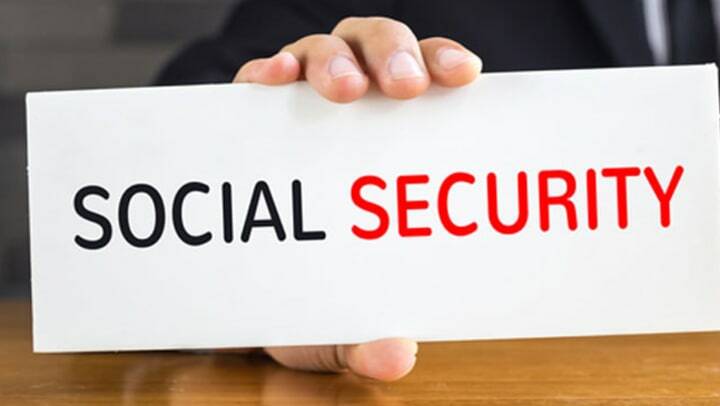 In addition to meeting the SSA’s technical eligibility requirements for SSDI and/or SSI benefits, you must also have a qualifying medical condition that prevents you from earning a gainful living through continued employment. If you’re no longer able to work or can’t work the same way that you once did, then you may be eligible. Certain medical conditions are so severe that the SSA automatically considers them disabling. These conditions appear on the SSA’s pre-approved Compassionate Allowances list. If you have a CAL-approved condition, then you must still complete the full application process, but your medical qualification for disability benefits is virtually guaranteed. Any applicant with a non-CAL condition must go through a more detailed medical eligibility review. This includes the SSA comparing medical records against information that appears in the “Blue Book” which is a manual of potentially disabling impairments. With Post Traumatic Stress Disorder (PTSD), for example, the SSA requires evidence of the traumatic event as well as medical records that document key features of the disorder. These may include notes from a psychiatrist or psychologist documenting mood swings, nightmares, and behavioral changes. With a chronic respiratory disorder, like COPD, on the other hand, required medical documentation includes the results of clinical evaluations, like blood panel results and breathing assessments. It can be hard to know if you qualify for benefits, even after looking over disability listing details. Your doctor can help you better understand the SSA’s medical qualification rules and whether you’re likely to be approved under a particular disability listing. Because the entire Blue Book is available online, be sure to review it with your doctor. You can submit a disability claim at any time and the SSA even provides an online application process for SSDI. If you’re submitting an SSI claim, you’ll need to contact your local SSA office, because a personal interview is necessary for this disability program. It typically takes 3-5 months to hear back from the SSA regarding your claim.